Bizarro kills the occupants of a Belly Burger, in a misguided action to prevent witnesses to his and Trickster's actions. Bizarro then drops Trickster atop a mountain range, after releasing him so he could cover his sneezing nose. All other options exhausted, Bizarro inexplicably turns to Lex Luthor, in an effort to restore Trickster's life. All the while, Regime Superman is drawing ever closer. Story - 2: Still trying to put a finger on what exactly happened here aside of more padding. Actually, nothing occurs aside of more padding. 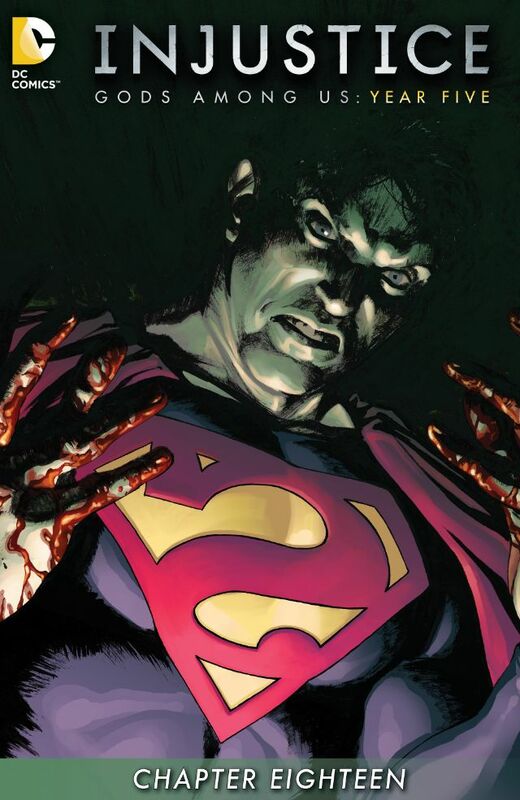 The Lex Luthor portion makes little sense, as while readers may know that Lex has a hand in Bizarro's creation, it hasn't been shown that Bizarro does. Bizarro returns to Germany first and Luthor second, which undercuts the impact of him arriving before Lex with Trickster's mangled corpse. Once again, nothing of worth occurs; there is no progression, just padding. It's obvious where the story is going, why it's going there, but we're going to be dragged at a snail's pace to the when. What has been done to deserve such a contemptuous situation? Injustice has some of the most loyal readers I know, and surely they deserve a better wrap up to a five year storyline. Perhaps, they don't. Who knows? It's been such a slog to get this far, but the end, the blessed end is in sight. Stay the course! Cover Art - 5: Bloody good cover!